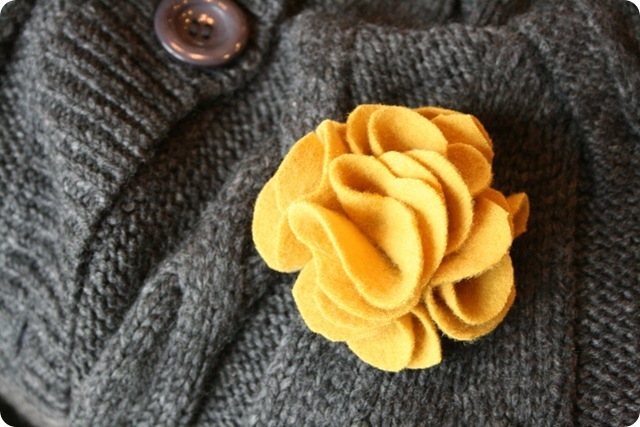 Paper and Twine Crafty Design, LLC: Wool scraps into flowers! I've been looking for a non-cheesy, yet easy (of course) wool fabric flower tutorial. I think this one will suffice. I believe I shall try this one out while the children are off at their friend's houses over Winter break. Yes, I shall try this with some old wool scrap fabric. I will post my results after I try it out. Meanwhile, have a look-see for yourself at how easy and pretty these little flowers look. I'm sure they'd look cute with felt, too.